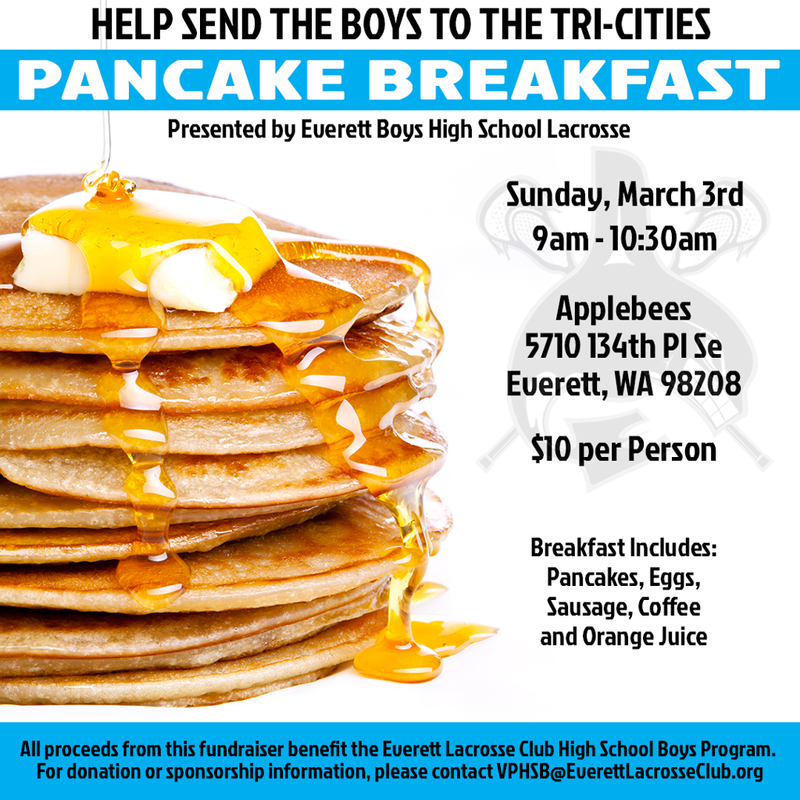 Our Everett Boys HS Lacrosse Team is excited to offer a Pancake Breakfast Fundraiser! Cost is $10 per person at the door, and includes pancakes, syrup, butter, scrambled eggs, bacon, orange juice, and coffee. Cash or debit/credit will be accepted! If you are unable to make it, please consider Donating to ELC here on our website!